You might not think that a cold dreary day is the time to be building that dream outdoor home that you’ve always wanted, but that’s not the case at all! 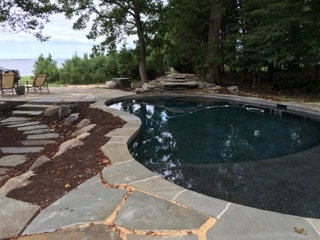 Right now is the perfect time to design and build a custom patio, outdoor kitchen, gas fire pit, walkways, retaining walls, or anything else that you want built. We have the equipment and the manpower to work in all weather, all year long. The nice thing about getting it built now is that everything will be ready for Spring and ready for planting season right away, meaning that your property will look amazing right when you want to be using it. Call us at 410-739-6800 and let us show you what we can do for you!